One of the advisers BuzzFeed mentions is Frank Gaffney, president of the Center for Security Policy, whose group’s material was cited by Trump when he called for Muslims to be banned from the country and who has since emerged as an official adviser to Cruz on security issues. 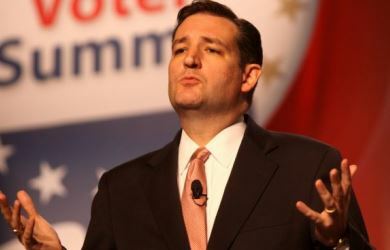 Cruz has defended Gaffney as “a serious thinker” and once claimed that “Sharia law is an enormous problem” in the United States. In 2012, Tennessee’s Republican governor, Bill Haslam, appointed a young lawyer named Samar Ali to the state’s economic development agency. The hiring caused a furious backlash, with several local and national figures claiming Ali had been brought on to make Tennessee “Sharia-compliant.” Many of the accusations came from the Center for Security Policy, a major anti-Muslim group run by former Reagan-era defense official Frank Gaffney. A resolution to condemn Ali’s hiring was pushed by Kevin Kookogey, who was then the chairman of the Williamson County Republican Party and is now the Tennessee chairman of Ted Cruz’s campaign. 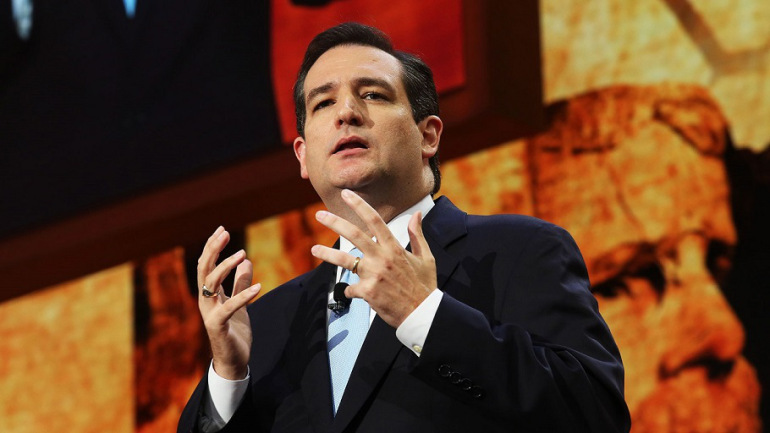 Gaffney is now one of Cruz’s foreign-policy advisers. Gaffney also testified on behalf of a group that sought to block the construction of a mosque in the town of Murfreesboro. According to the Associated Press, the lawyer representing the mosque opponents argued that the mosque was part of “a conspiracy to take over America” and “replace the Constitution with extremist Islamic law” and questioned “whether the world’s second-biggest faith qualifies as a religion” protected by the First Amendment. The Justice Department had to take the unusual step of filing a brief affirming that Islam is in fact a religion. “Gaffney testified that Shariah, and by extension the new mosque, poses a threat to America,” the AP reported. When the mosque opponents failed to prohibit the establishment of the Murfreesboro mosque, they asked the county government to seize the building as a threat to public safety, citing Gaffney’s testimony that it could be used to spread terrorism. While this lawsuit was once seen as bizarre and unusual, its message has been embraced by those close to Cruz. And not just Gaffney. 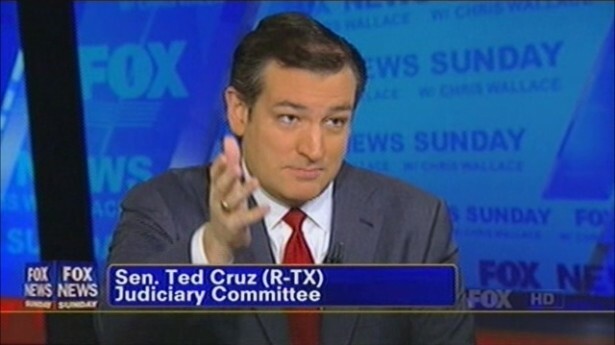 In fact, the arguments that the Murfreesboro mosque opponents made are very similar to those put forward by Cruz national security adviser Jerry Boykin, who has said that “Islam is not a religion and does not deserve First Amendment protections” and wants “no mosques in America,” and by Cruz adviser Andy McCarthy, who has similarly stated that the government should not treat Islam as a religious faith. 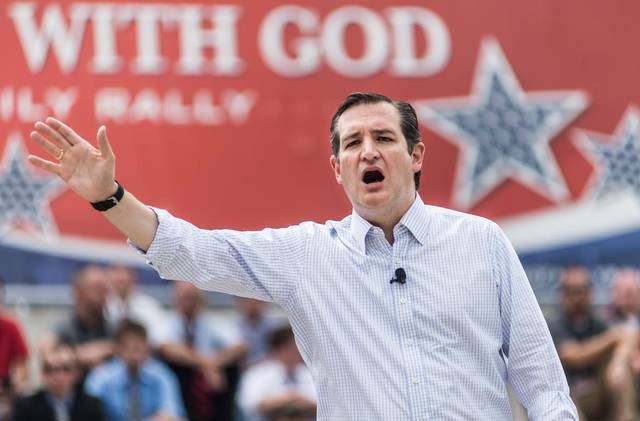 The chairman of Cruz’s “religious liberty advisory council,” Tony Perkins, has similarly stated that Islam is not a religion protected by the Constitution.